With a degree in zoology at Oxford University, I then spent more than 30 years in conservation in Africa and the Middle East. Following my main passion, antelopes, I researched in Kenya on hartebeest feeding ecology for my D.Phil., and then on fringe-eared oryx domestication and ranching, before moving to Oman to design and run the pioneering project to restore the Arabian oryx to the wild. From 1987 I was Director of African Operations for the African Wildlife Foundation in Kenya for 12 years. After a spell as a consultant, in 2001 I became Chief Executive of the Durrell Wildlife Conservation Trust in Jersey. In 2008 I joined WildCRU. Arising from the work in Oman, in 1988 I founded and then chaired for 12 years the IUCN SSC Re-introduction Specialist Group. As a member of several of the SSC Specialist Groups, I conducted a major survey of voluntarism in SSC, as a global body of over 8,000 volunteer specialists, reporting in 2001. My recent professional activities have been largely on behalf of IUCN, the International Union for the Conservation of Nature. From 2010-2012 I chaired a Task Force of the Re-introduction and Invasive Species Specialist Groups which delivered the 2013 IUCN Guidelines for Reintroductions and other Conservation Translocations. In 2010-2016, I chaired the IUCN Species Survival Commission’s Sub-Committee for Species Conservation Planning, a global body promoting sound planning for species amongst the 130 Specialist Groups of SSC. With the pressures facing biodiversity, there is an urgent need for realistic and effective conservation planning for species. The resulting strategies can then be turned into actions and the status of endangered species demonstrably improved. This role allowed me to engage with groups planning for diverse taxa at many sites – Bhutan, St. Helena, western Canada, Madeira and others directly and indirectly. Our sub-committee completed new Guidelines for Species Conservation Planning in mid-2017. I am currently a Special Adviser to the Species Survival Commission. My continually evolving interests are now oriented to the future for wildlife through the lens of rewilding and climate change, and global trends in human demography, politics and large scale ecology. 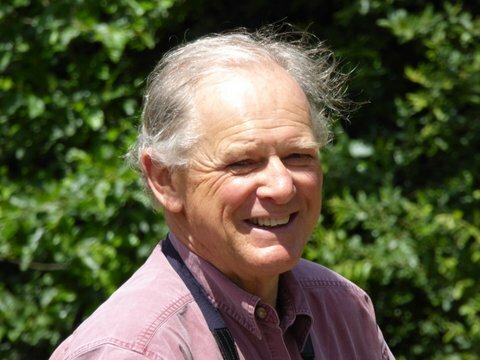 In addition, I am Vice-Chair of the Board of Marwell Wildlife and Chair of its Conservation and Education Committee; on the Board of the Sahara Conservation Fund; I sit on the Board of the World Land Trust, and chair its Conservation Working Group; I am Chair of the Board of the Friends of Kenya Wildlife Trust – UK, which was created in 2015.